There was some fantastic language content last month. Let's have a look back at the best language and culture content from the last month! If you're struggling to learn French language and grammar, you should make your life a little easier with these fantastic tips from Benny the Irish polyglot! This article is highly recommended for any French learner but a lot of these tips could be used to gain proficiency in many different languages. Either way, you'll be fluent in no time! If you're like us, you're probably already a self-confessed linguaholic. However, if you have any doubts, this article should clear everything up for you! Since we love languages, learning them doesn't bother us. However, not everyone acquiring a new language finds it fun. In these instances, games can be a great way to make them enjoyable. Not convinced? If you want to learn a language or if you teach one, you should check out this article on Eurolinguiste and see how games are a crucial part of language instruction. With the UK going back to the polls on 8 June, the political mud is being slung. Boris Johnson took one of the first swings by calling Jeremy Corbyn (Leader of the Labour Party) "a mutton-headed old mugwump". But what is it? I have no idea and I'm a native speaker of English! Thankfully, you can find out in this article! This article is great if you're learning the language of love and looking for more media. If your linguistic journey starts to plateau or your language courses need a boost, exposing yourself to media in the target language is a great way to gain fluency. While there is no single answer, this article provides some fascinating insights into which languages might be easier for you to learn. If you're set on learning a new language, you should choose to learn a language from this article! If English isn't your native language, this article's for you. Those of us who speak English as our first language love phrasal verbs and if you want to learn to speak the English language fluently, here are 5 phrasal verbs you should make part of your vocabulary. In my opinion, this might be the most important language debate taking place in the UK. Like most English pronunciation, it depends on your dialect! 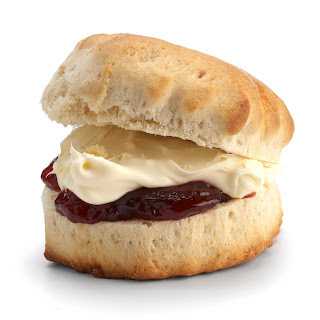 If you're still wondering how to pronounce "scone", you should check this article out. Finally, this month's most popular language content came from The Guardian. Bilinguals apparently find some of our ruder phrases easier to say. Why is that? Find out by reading this fascinating article. Were there any great articles this month that our readers would love? Tell us about them in the comments!